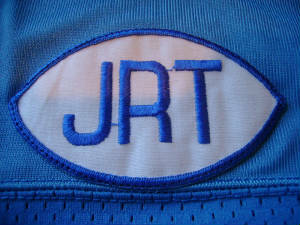 Worn above and to the players' left of the front numerals, except for the NFL 50th Anniversary, which was worn on the left shoulder. 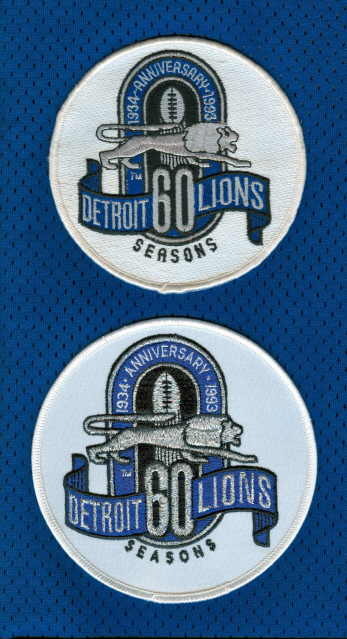 Lions' 50 Seasons patch from 1983 -- this is the blue background version, as worn on the white road jerseys. I would like very much to find the white background version, as worn on the Honolulu blue home jerseys. 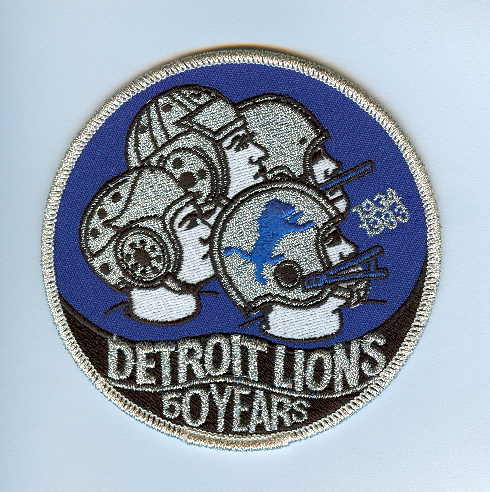 Lions football-shaped memorial patch for long-time General Manager Russ Thomas, from 1991. Honolulu Blue background, used on the white road jerseys. 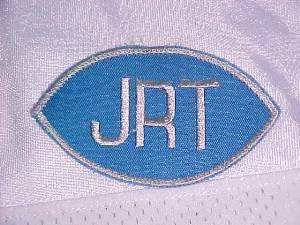 This is on my Jeff Hunter road jersey. White background, used on the Honolulu Blue home jerseys. This is on my Mike Graybill home jersey. 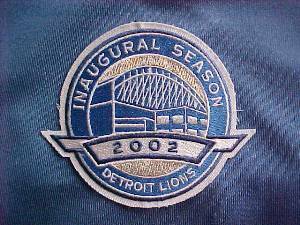 Ford Field Inaugural Season patch. Worn only for the first regular season game at the new stadium, on September 22, 2002. Lions 60 Seasons patch from 1993. TOP: Genuine, team-issued and game used version. Fully embroidered background. BELOW: Willabee & Ward retail version. Larger diameter, plain twill background, metallic silver thread, features are not as precise. 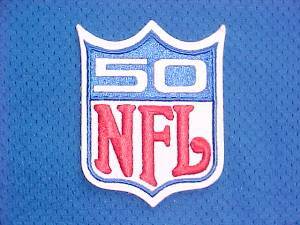 NFL 50th Anniversary patch from 1969. Obtained from the manufacturer in 1983. 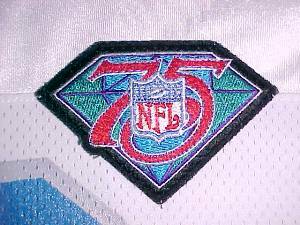 NFL 75th Anniversary patch from 1994. League issued, with the proper, hidden three-letter code.